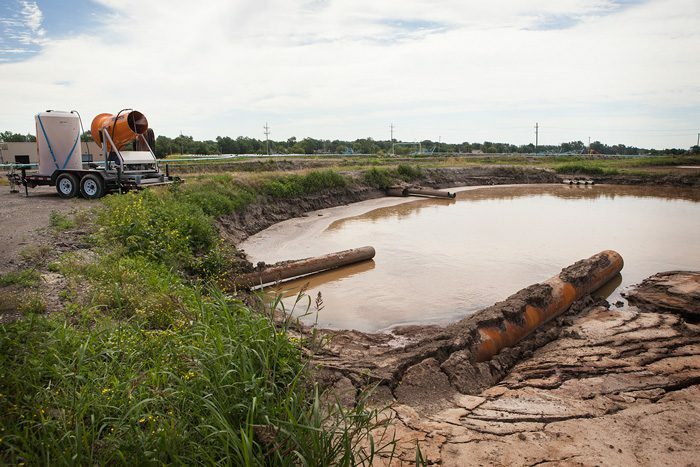 Michigan Sugar rents the OdorBoss to tackle odors disrupted by the annual cleaning of the settling ponds, which contain the debris of millions of processed sugar beets. “We’ve done a lot of homework on odor control systems, traveling across the country looking at different methods in action. Michigan Sugar is the third-largest beet sugar processor in the United States, and the only remaining sugar company in the state of Michigan. 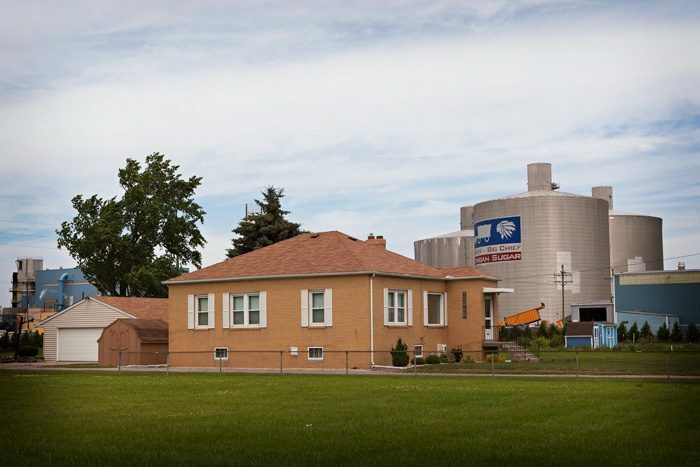 Originally founded more than a century ago when six independent sugar beet companies merged, the firm has perfected the process of turning one of the region’s largest cash crops into pure, all-natural sugar. In 2004, the organization became a grower-owned cooperative, and today approximately 900 growers have a stake. Together they farm 161,000 acres, delivering about 5 million tons of beets annually -- enough to produce approximately 1.3 billion pounds of sugar each year. Counting its three warehouses in Michigan and Ohio, the company employs approximately 700 people year-round and an additional 1,600 during peak processing season. 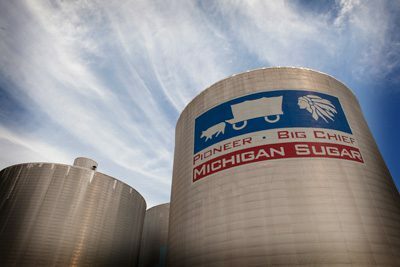 In all, Michigan Sugar Company’s seven facilities generate more than half a billion dollars annually in direct economic activity. Its products include granulated sugar, powdered sugar, brown sugar and liquid sugar, sold in wholesale and retail quantities under the Pioneer® Sugar and Big Chief® Sugar brands. The Bay City factory was originally constructed in 1901 and remains the largest of four Michigan Sugar plants. With a daily slice of about 8,700 tons of sugar beets during its production campaign (usually 200-220 days), the facility typically processes 1.5 million tons per year, yielding more than half a billion pounds of sugar annually. With company owners and employees all living in and around the areas where the facilities are located, management is acutely aware of its role as a corporate citizen. “We have always strived to be a positive force in the communities where we operate, and to demonstrate responsible environmental stewardship,” said Bay City Factory Manager Gary Witzgall. As part of that philosophy, company officials take a number of proactive measures to control the inevitable odors that accompany sugar beet processing. The first step is washing the incoming stock, catching the debris and depositing it into a settling pond. Effluent moves through several purifying stages -- including anaerobic digestion, aeration and clarification -- while microbes feed off the residual sugar and effectively clean the water. One detail that differentiates the manufacturing operation at the Bay City plant is an additional step beyond conventional processing. At the end of the process, a slurry is created with water jets to allow the remaining settled solids to be pumped into tanker trucks. The mixture is recycled by transporting it back to the fields, where it’s injected into the soil as a nutrient-rich organic fertilizer. The disturbance from the high-pressure water jets tends to release large amounts of odor vapor as the liquid reaches the proper consistency. Although the perimeter misting system forms a barrier surrounding the ponds, it doesn’t reach far enough to interact with the odor at its worst -- as it’s being generated. Operations personnel began searching for a better technique to improve odor control. During that search, they looked at the OdorBoss® brand of odor control equipment and also visited a scrap yard where the firm’s equipment was being used to control odor in a large outdoor operation. Impressed by the effectiveness of the method and the company’s deodorizer that was being applied, they decided to rent an OB-60G for a month when the ponds were being emptied. “We all live in the immediate area, so it’s more than an issue of following the regulations. The OdorBoss odor control system creates an engineered fog comprised of millions of tiny droplets as small as 15 microns in diameter (approximately twice the size of a human red blood cell), which travel with odor molecules on air currents. Suppression is delivered by a special open-ended barrel design containing a powerful fan on one end and the company’s Odor X Atomizer nozzle on the other. The device is mounted on a towable, roadworthy trailer that is also fitted with a 500-gallon (1893 L) water tank. One of the key benefits for Michigan Sugar is the versatility of the OB-60G, which can be quickly repositioned on its trailer to accommodate changing work locations or shifting wind patterns. The Michigan Sugar crew has never seen such a powerful odor control system that allows for so much mobility. The trailer can be quickly repositioned to accommodate changing work locations or shifting wind patterns. That easy mobility is one of the features setting it apart from other misting systems. Engineered to be moved and adjusted with changing conditions by a standard pickup truck or small skid steer, the low-maintenance unit runs for up to 16 hours on a single tank under normal operating conditions. The design can also be set for specific oscillation arcs and aimed precisely to intercept odor vapor where the concentration is highest. The water / treatment agent mixture is pumped from the tank by an integrated 10 HP air compressor through the single air atomizing nozzle, which atomizes the pressurized liquid. The cone of fog is propelled by a 25 horsepower electric fan generating 30,000 cubic feet per minute (152.4 CMS), and the unit features a standard 359° built-in electric oscillator. In addition to its side-to-side oscillation, the unit also has a vertical angle adjustment between 0-50º for expanded reach and precise aiming. A touch screen panel housed in a protective NEMA 3R cabinet attached on the side of the OdorBoss controls the device’s features. With a strong policy toward corporate environmental responsibility and a close working relationship with the community, Michigan Sugar is continuously investigating additional solutions to odor emissions. Built in 1901, the Bay City factory didn’t always have neighbors. But odor control has long been a top priority for the factory as civilization gradually developed around it. After running the unit 24/7 for a month at the Bay City plant, operators found it so effective that they decided to extend the rental for another month. Odor complaints are down since implementing the OdorBoss, and visitors to the site have remarked on the unit’s effectiveness. “Odor management is our company’s top priority,” Witzgall said. “Although it’s largely behind-the-scenes work, we are continuously making improvements to our process that help us better control the smell. That includes re-designing some of our piping routes, adding the perimeter misting system and experimenting with various filters. I suspect there will be millions in capital investments made in the next few years." Control odor from annual cleaning of settling ponds, which contain the decaying debris from washing beets throughout the processing campaign. The ponds are cleaned out in between campaigns with the mud recycled as fertilizer for local farmers. 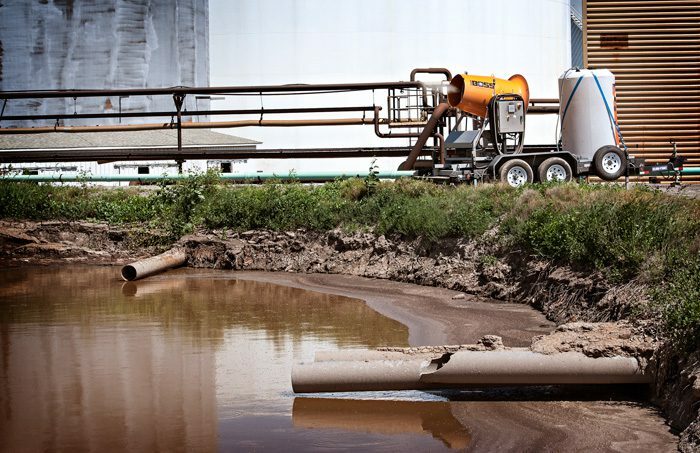 The mud needs to be slurried to make it the right consistency to be pumped into trucks. One OdorBoss running 24/7, staged upstream of the slurrying point where the mud is shot into the air to alter the consistency. Odor complaints are down and visitors to the site have commented on the unit's effectiveness. The factory extended their initial rental period and plan to make rental a permanent part of the process. The crew likes the mobility that allows them to restage the OdorBoss easily. This entry was posted in Application, Food Processing, News, OB-60G, OdorBoss, Product, Rentals. Bookmark the permalink. Both comments and trackbacks are currently closed.